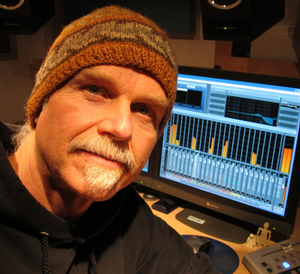 Four-times Grammy-nominated electronic artist David Miles Huber will be presenting Parallax Eden, which has been released on the Auro Technologies own Auro-3D Creative Label as a Pure Audio Blu-ray with an exceptional Auro-3D, Stereo, and Surround mixes. The Auro-3D mix creates an exciting three-dimensional soundscape thanks to the addition of a Height layer in front, above and all around the listener. Auro-3D is an exciting move from two-dimensional surround sound formats to three-dimensional sound and is the only sound system on the market that has both 5.1 Surround and Auro 9.1 in one standard PCM delivery file with high resolution audio in each channel, making easy distribution on any system in the world possible. Parallax Eden is a Grammy-nominated project that is unique in more ways than one. Composed, produced and mixed by electronic music artist, David Miles Huber – this project has been layered in various multi-dimensional ways. Not only does it offer the listener mixes in various format versions (Stereo, 5.1 Surround and last but not least Auro 9.1 immersive sound), Parallax Eden offers up to three completely different mix versions. All three formats will hold a different mix of the original compositions, ranging from the “Chill Mixes” up to the uptempo “Berlin Remixes.” Musically, Parallax Eden transports the listener to a new place, where down-tempo beats are carefully crafted with up-tempo grooves in imaginative ways, taking you on a journey that’s both tranquil and energizing.